This Black Friday, score deals at smile.amazon.com/ch/46-0557908 and AmazonSmile donates to Mystery Dog Rescue. The season of giving has begun! At our MacArthur location, we will be collecting collars and leashes to be donated to Animal Defense League of Texas and Mystery Dog Rescue. 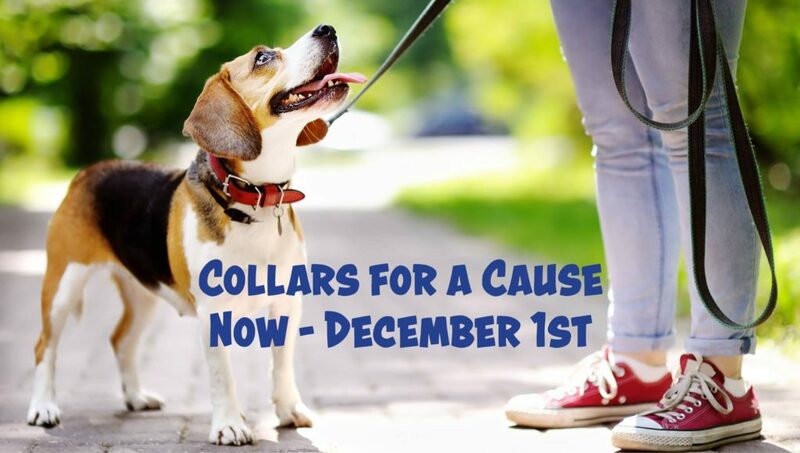 Help a dog or cat get a fresh start with a new collar, harness or leash. It’s simple, make a monetary donation at the register or purchase a collar, harness, or leash to be donated to our designated local rescues. The donation drive will run till the end of November. Thank you for your charitable donation to our community partners! Visit Pet Supplies Plus – Surefed at 3133 Nacogdoches during the entire month of November. More info can be found here.